PLAYTIME Catamaran is an award winning Lagoon 560, accommodating 6 guests in 3 cabins. Mario and Karine have over 40 years experience as Restauranteurs. They are outstanding crew. Nikki Beach inspired Playtime's Motto, "you deserve nothing but the best'. 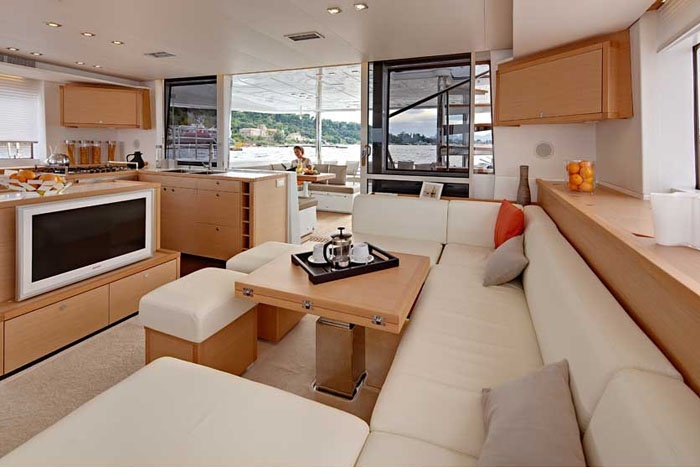 PLAYTIME is an award winning Lagoon 560, accommodating 6 guests in 3 cabins. Mario and Karine have over 40 years experience as Restauranteurs. They are outstanding crew. Nikki Beach inspired Playtime's Motto, "you deserve nothing but the best'. $23,000 to $25,000 per week, all inclusive. Captain Mario has been sailing for over 15 years and knows the BVI inside out for every activity. Mario and Karine are will make your charter as comfortable as possible, whether you’re kayaking through secret coves or simply relaxing onboard. With an emphasis on world cuisine, great produce and delicious wines, you will be in Caribbean heaven with Mario and Karine.